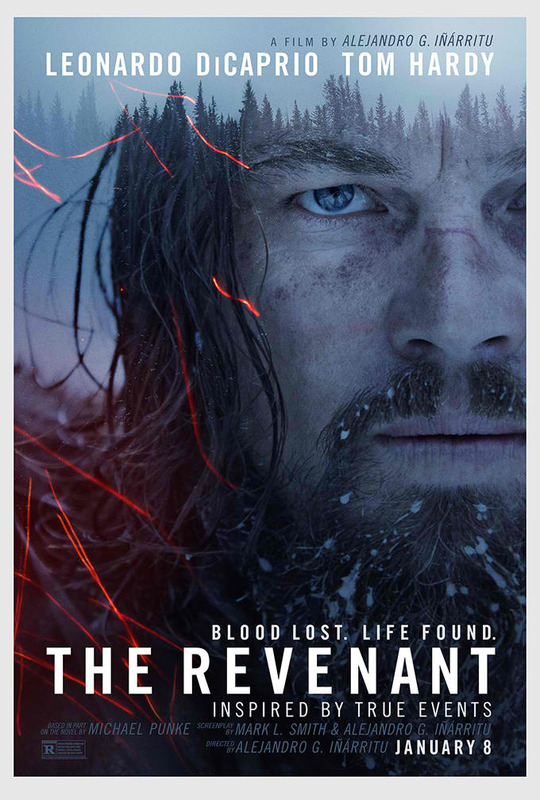 Home / MOVIE REVIEWS / "The Revenant" Movie Review: Leonardo DiCaprio's Best Performance Has Come! "The Revenant" Movie Review: Leonardo DiCaprio's Best Performance Has Come! If you are waiting for that one movie for Leonardo DiCaprio's best performance in a movie ever, well... look no more! The movie "The Revenant" is perhaps one of the best movie performances, if not, the best performance in a movie of Leonardo DiCaprio to date in his entire career. Well, I did like his acting in movies such as the "Shutter Island", "Titanic". and "Blood Diamond" among others, but his performance in "The Revenant" seems like to top them all. In this movie, we saw a different Leonardo DiCaprio, away from the shadow of his favorite movie director, Martin Scorsese. The movie's director Alejandro Inarritu really did a great job in this film. His craftsmanship as a director has shown Leonardo DiCaprio's emotionally unstable character Hugh Glass very effectively. His struggles between his personal vendetta to Tom Hardy's character Fitzgerald and his physically weak body due to a grizzly bear attack are really the highlights of the film. Not to mention his struggles also to trying to survive the wild, the cold environment, and the savages and hunters while going to camp some hundreds of miles away. Director Inarritu also did a great job in setting up the mood of the film. The first fifteen minutes was quite uninteresting to watch, but that scene though transcended us to a place where the director made us feel, the moviegoers and audiences, we were also part of Leonardo's group of fur trapper. One of the best feature of the film is that it effectively presented different dichotomies and draws the viewers into the realm of the film. Inspired by true events, DiCaprio plays the legendary Hugh Glass, a fur trapper in an epic adventure set in the unchartered 19th century American Frontier. The movie based on author Michael Punke’s “The Revenant: A Novel of Revenge,” published in 2002 and is one of the most extensively researched accounts about, Glass’s mythology began in 1823, when he was among thousands joining the fur trade, a driving new force in the US economy. It was a time when many saw the wild as a spiritual void that demanded to be tamed and conquered by the steeliest of men. And so they poured into the unknown, plying unmapped rivers, disappearing into impossibly lush forests, seeking not only excitement and adventure but also profits -- often in fierce competition with the Native tribes for whom these lands had long been home. Immersing audiences in the unparalleled beauty, mystery, and dangers of life in 1823 America, the film explores one man’s transformation in a quest for survival. Part thriller, part wilderness journey, The Revenant explores primal drives not only for life itself but for dignity, justice, faith, family and home. One of the movie’s most thrilling scene, the bear attack that threatens to end Glass’s life, immediately took DiCaprio into a mano-a-mano struggle with one of nature’s most skilled predators. "The Revenant" is a film that takes you from despair, and guides you through the slow and agonizing process of fighting for life and justice. Iñárritu has made another masterpiece with focused well-developed characters. The film made a special dialogue with the audiences with emotions and gestures more than the spoken language. Every scene felt like it was real and you are taken back in time when it was happening. The balance of the talented cast from the main actors and supporting cast was well executed and everyone was perfect for their respective roles. The production design and location shoots were just majestic. Historical issues and debates about racism, land dispute, man vs. nature, and man vs. man angles are discussed in the film. Truly another cinematic masterpiece to be enjoyed from today and the generations to come.